Noida Authority has recently found out that nearly fifty real estate developers are not paying the due payments to the Authority. It is estimated the government loses around Rs.3000 Cr due to the default buyers. Many Builders are identified by Noida Authority as default payers. BSP government had made it a rule to pay a mere 10% of the total amount for attaining land parcels for ‘group housing’ projects. 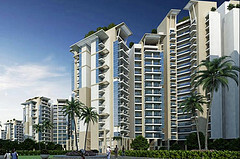 This scheme was introduced with a plan to make Noida an affordable home-destination. However, recently, the Noida authority has found out that many developers have stopped the payments. Realizing that many developers have skipped paying off the amount prescribed by the scheme, three Gautam Budh Nagar Authorities plans to amend the scheme. Sources close to these authorities said that the amendment may be applied in their next board meeting. Nearly 50 developers, including some bigger and reputed builders in the field, are identified by the Noida Authority as defaulters. GP Singh, finance controller of Noida Authority, said that majority of the developers are violating the agreement as they are not paying the prescribed amount. Mr. Singh added that the list of defaulters included some big names of the sector and the authority plans to make some amendments in the scheme so as to ensure that they are made paying the amounts. Noida Authority’s loss is estimated to be Rs.3000 Cr (Approx). The current scheme was introduced in 2008 with an aim to attract the investors across the country. As per the scheme any builder could lease the land from the authority after paying a 10% of the total amount. The scheme asks the builders to pay the remaining amount in installments. The policy was conceptualized to give some relaxation to the small scale developers. Yet the authority said that most of the builders now do not pay off their due amounts for some years. To recover the amount the Authority has issued notices to some of the builders and warned them that their land will be seized in case if they overhear the notice. This entry was posted in Real Estate News and tagged leasehold property, Noida Authority, Noida real estate by designer. Bookmark the permalink.